Mr. Chitho Feliciano of the PNRI Biomedical Research Section (top left) wins the De Silva Prize for Best Oral Presentation (top right) in Tsukuba, Japan, the Best Poster Presentation Award during the AsiaNANO Conference (below left) in Sapporo, Japan, and the Best Poster Presentation Award at the Chemistry Society of Japan Festa (below right) in Tokyo, Japan. 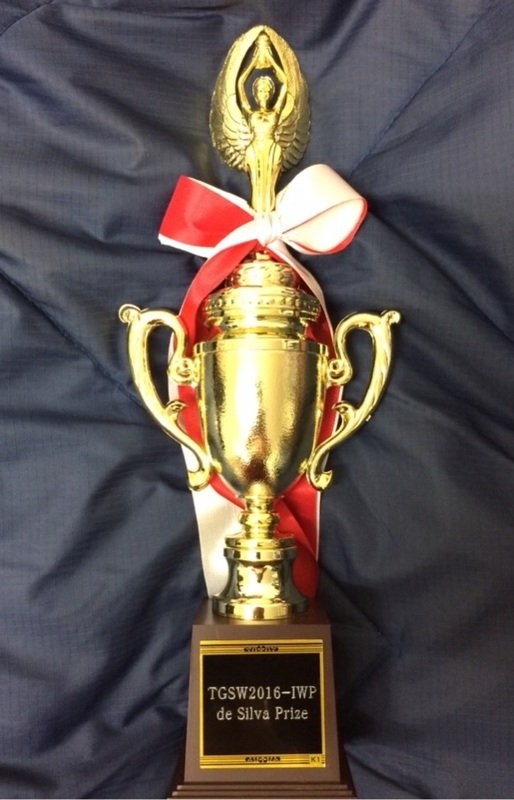 Digging deep into technologies to protect the skin from the effects of radiation, PNRI's research once again gains the respect of the international community by winning several awards in Japan this 2016. 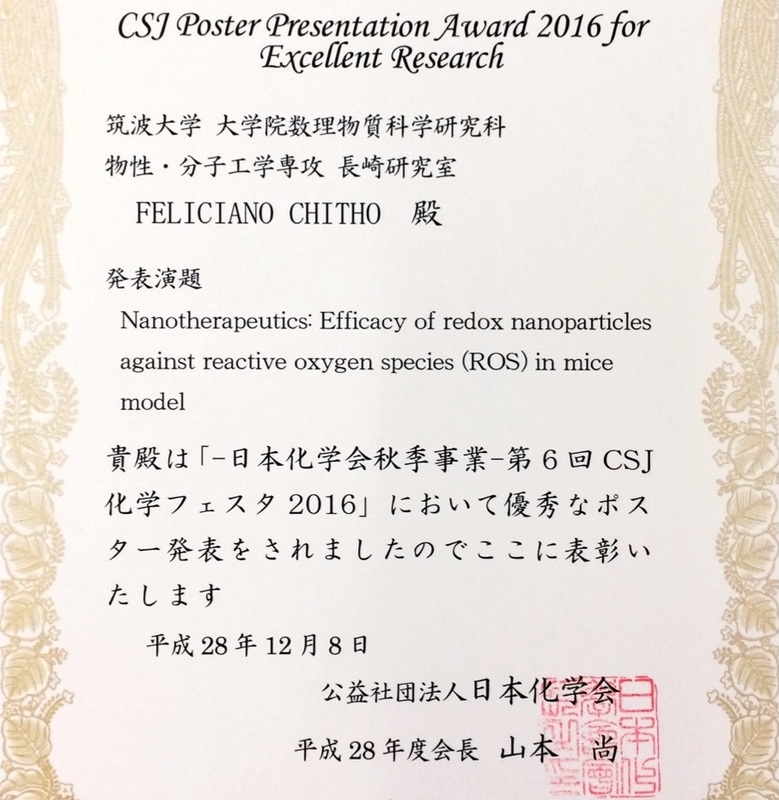 PNRI Biomedical Research Section senior science research specialist Chitho Feliciano, who is currently taking up his doctorate in Biomaterials Science at the University of Tsukuba since 2014, received the De Silva Prize for Best Oral Presentation at the Interdisciplinary Workshop on Science and Patents during the Tsukuba Global Science Week held in Tsukuba on September 19, 2016. 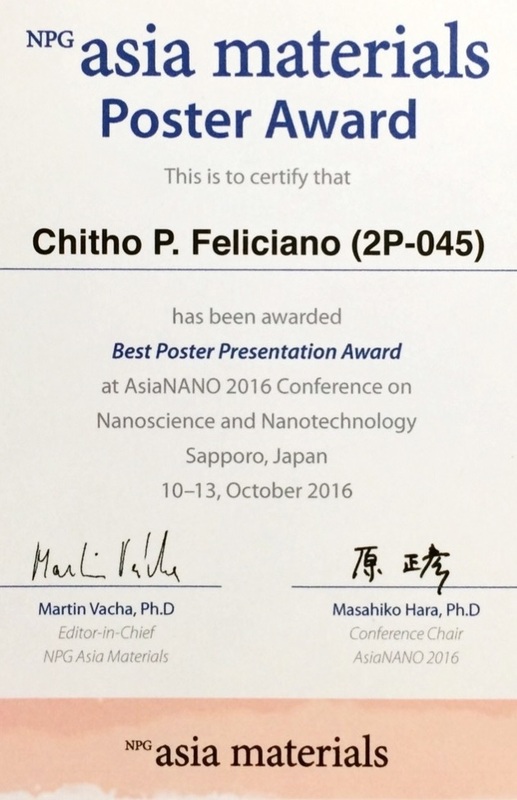 Feliciano's research also won two Best Poster Presentation awards. The first was during the Asian Conference on Nano-science and Nanotechnology (AsiaNANO) in Sapporo on October 10-16, followed by the 6th Chemistry Society of Japan (CSJ) Festa held in Tokyo on November 14-16. 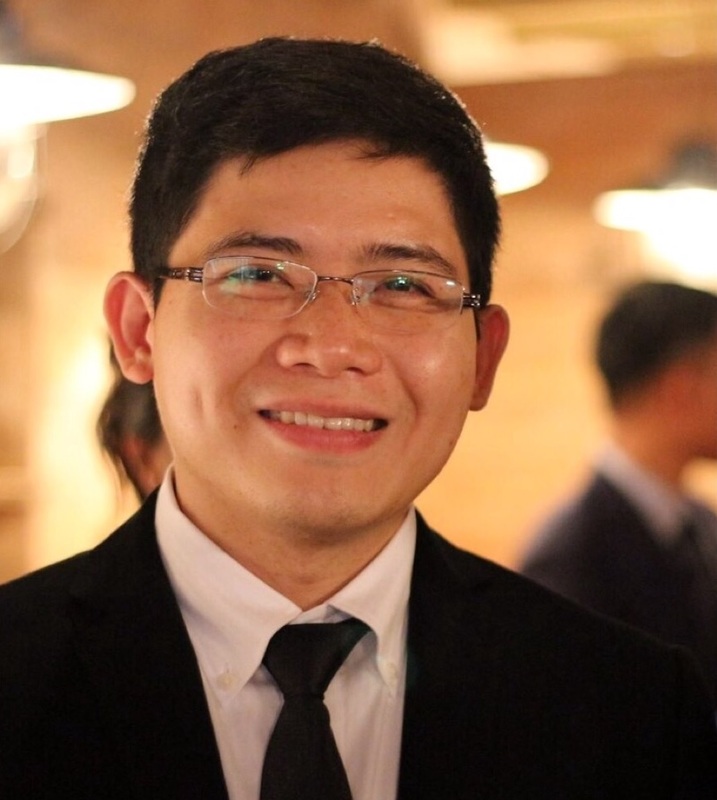 His studies aim to use nanoparticles to improve the therapeutic effect of nitroxide radicals and to reduce the effects of skin aging, skin lesions, and other skin inflammatory disorders caused by ultraviolet rays and other forms of ionizing radiation, as well as radiation-induced reactive oxygen.